The Unmountable Boot Volume Windows stop code error is a pain. Since it usually keeps you from getting into Windows, you can’t troubleshoot it like you would with other errors. However, it’s possible to fix this error with the right methods. We’ll show you how to fix the unmountable boot volume error and get back into your PC. The “boot volume” is the partition of your hard drive that holds Windows. This error occurs when your computer can’t load Windows properly, resulting in a blue screen of death (also known as a stop code). It usually occurs due to a damaged file system or corrupted Windows files How to Fix a Corrupted Windows 10 Installation How to Fix a Corrupted Windows 10 Installation System corruption is the worst that could happen to your Windows installation. We show you how to get Windows 10 back on track when suffering from BSODs, driver errors, or other unexplained issues. Read More . Often, you’ll see it after applying a major Windows update. While this error can also stem from an improperly configured BIOS, that’s rarely the case unless you’ve modified the BIOS on your own. Thankfully, this error doesn’t always mean that your hard drive is dying. Though that may be the case, we’ll walk through other troubleshooting steps first. Like any blue screen of death Windows 10 Crashing With a Blue Screen of Death? How to Troubleshoot It Windows 10 Crashing With a Blue Screen of Death? 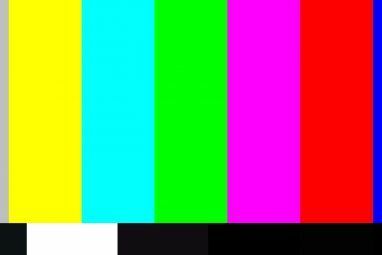 How to Troubleshoot It Did a Blue Screen of Death ruin your day? It comes without warning and it persists until you fix the underlying issue. We'll show you a few easy ways to troubleshoot your BSOD. Read More , the unmountable boot volume error isn’t always something to worry about if you only see it once. Sometimes Windows runs into a temporary hiccup and you never have an issue with it again. If you see the unmountable boot volume error while working, restart your PC and try to log in again. You should be clear if the error doesn’t return for some time. Usually, though, you’ll see the unmountable boot volume error when you try to load into your PC and it won’t let you load Windows at all. In that case, proceed with more in-depth troubleshooting. Since you can’t boot Windows normally, you’ll need to create a Windows installer on a USB drive or DVD using another machine. This will let you access Windows’ troubleshooting tools by booting from a different device. The Media Creation Tool makes it easy to create Windows 10 installation media How to Create Windows 10 Installation Media How to Create Windows 10 Installation Media Regardless of how you arrived at Windows 10, there's a way to create your own installation media. Sooner or later you might need it. Let us show you how to be prepared. Read More . Once you’ve created your installation media, plug it your PC and boot from the USB or DVD How to Change the Boot Order on Your PC (So You Can Boot From USB) How to Change the Boot Order on Your PC (So You Can Boot From USB) Learn how to change the boot order of your computer. It's important for troubleshooting issues and tweaking settings, and it's a lot easier than you think. Read More . Let Windows start from your USB until it loads up, and click the Next button. You’ll see the Install now screen. But you’re not interested in reinstalling Windows; click Repair your computer in the bottom-left instead. On the following screen, select Troubleshoot to get a list of Advanced Options. Choose Startup Repair and choose the target OS, Windows 10 (or your version). From here, Windows will run an automatic repair that will hopefully take care of your issue. Once it’s done, exit the installer and try to boot your computer normally. If this doesn’t make a difference, continue on. The Master Boot Record (MBR) contains information about where Windows lives on your hard drive and helps it load properly when you turn your computer on. If this becomes corrupted, it can lead to an unmountable boot volume error. To repair the MBR, boot again from your Windows 10 install media and select Repair your computer > Troubleshoot. This time, on the Advanced Options screen, choose Command Prompt. Enter exit to leave the Command Prompt once these complete. Then reboot again and see if the error continues to pop up. If an automatic repair and MBR repair didn’t solve your problem, you should next try Chkdsk. This important Command Prompt tool lets you check the hard drive for errors, which may cause the unmountable boot volume message. The /r flag locates any bad sectors on your disk and fixes those errors. If you don’t include this, Chkdsk will simply report errors it finds. You need to include c: so the operation scans your Windows partition (the most common location for it). Replace c: with d: or another letter if you’ve moved yours somewhere else. Chkdsk may ask you to run next time the system restarts. If it does, enter Y for yes and reboot to start it. This can take some time, so you may have to wait a bit. Once it’s done, reboot again and see if the issue has cleared up. For the final Command Prompt solution, you can try another important utility. SFC, or System File Checker, looks for corrupted Windows system files and attempts to fix them. If none of the above has fixed your issue yet, this is worth a try. Wait until the process completes. It will tell you if it fixed anything. Like the other commands, reboot and try to load into Windows again. If you’ve completed all the above and continue to see an unmountable boot volume error every time you boot, your problem is deeper. You have two options for further solutions. First, you may have a hardware issue. Your hard drive could be corrupted, dying, or have a faulty connection. If you’re confident open your computer (which is easier on a desktop than a laptop) and check to make sure the hard drive cable is securely connected. Sometimes faulty RAM can also cause this problem, so make sure the RAM is properly seated. If you check the connections and everything looks OK, you should run some diagnostic tests 13 Windows Diagnostics Tools to Check Your PC's Health 13 Windows Diagnostics Tools to Check Your PC's Health Use these computer diagnostic tools to run a PC health check and fix issues. Some support Windows 10 diagnostics, specifically. Read More to determine if a component is dying. Replacing it should fix your issue, but you’ll need to talk to an experienced computer technician if you can’t swap the components yourself. After ruling out hardware, your Windows installation may be corrupted in a way that the above utilities can’t repair. In that case, your only option is to reinstall Windows 4 Ways to Reset Windows 10 and Reinstall From Scratch 4 Ways to Reset Windows 10 and Reinstall From Scratch Windows 10 is still Windows, meaning it will need a fresh start every once in a while. We show you how you can get a fresh Windows 10 installation with as little effort as possible. Read More . This is a pain and takes time, but isn’t as bad if you have a backup. We’ve looked at several steps for solving an unmountable boot volume stop code error in Windows. Since this is usually caused by file corruption, running the above scans from a Windows recovery disk should fix it most of the time. But in the worst cases, you’ll need to diagnose your hardware or even reinstall Windows. 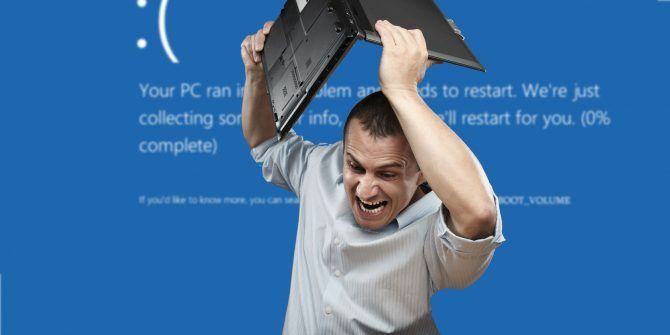 For more like this, check out our beginner’s guide to Windows troubleshooting Windows Troubleshooting for Dummies Windows Troubleshooting for Dummies Windows takes a lot of crap for problems outside of its control. Learn about the biggest issues people incorrectly pin on Windows and how to actually troubleshoot them. Read More . Explore more about: Boot Errors, Boot Screen, Troubleshooting, Windows 10. Thank you, thank you, thank you. After several days of searching and trying many, many different ways to fix Unmountable Boot Volume on my husband's laptop - all of which failed - I finally found your website and got the laptop up and running again (and with all personal settings still intact) by following your directions on creating a Windows 10 Media Creation Tool via my desktop computer. Saved me from buying a new hard drive or, worse yet, having to buy a new laptop. No idea what caused this problem in the first place, but am keeping the thumb drive in case it occurs again. Thanks again !! !